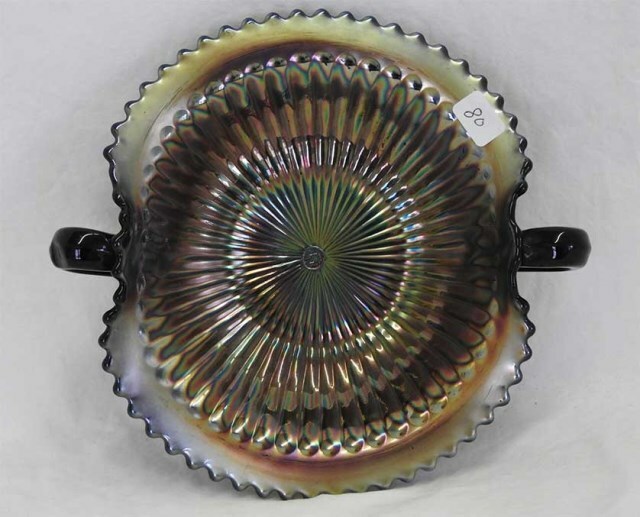 Found in a small range of shapes, most easily identified as Northwood by the basketweave exterior. 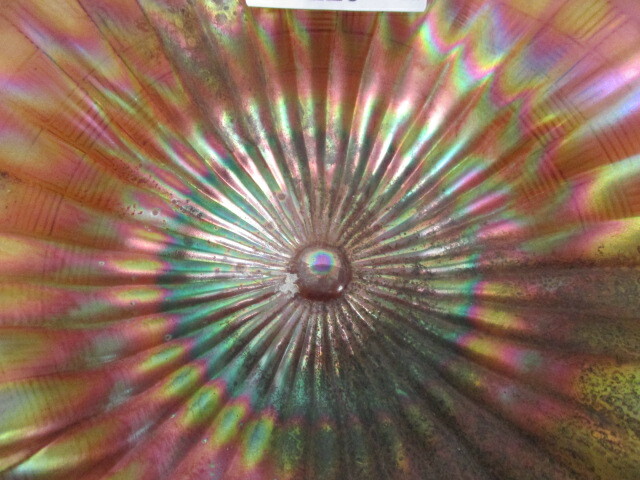 Many will also have the Northwood “N” mark on the button in the center. 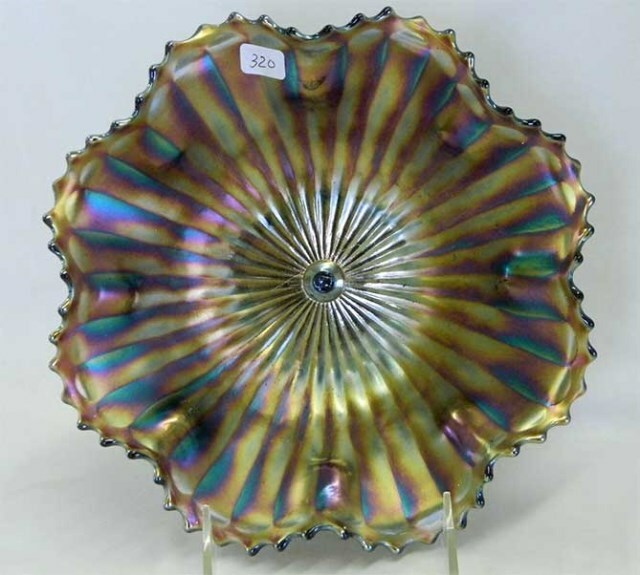 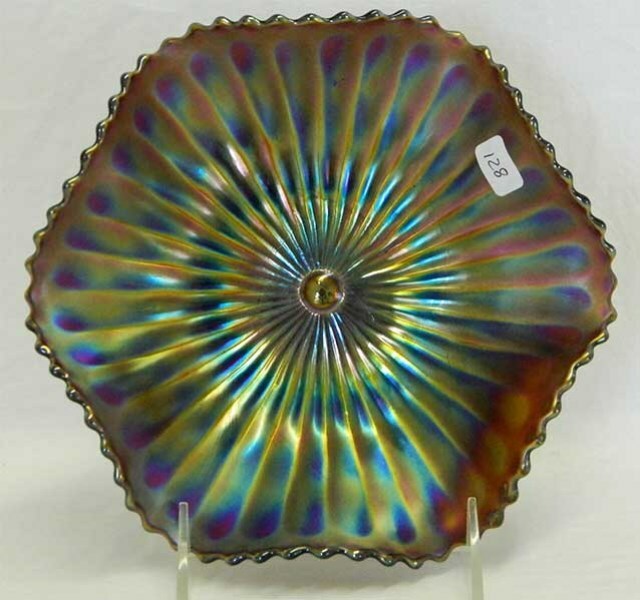 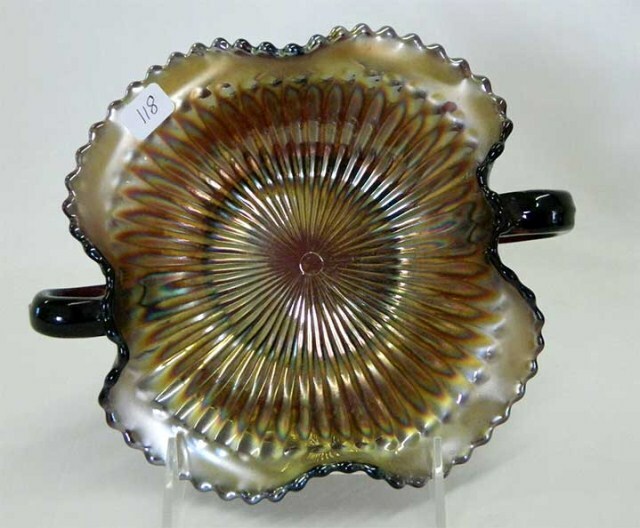 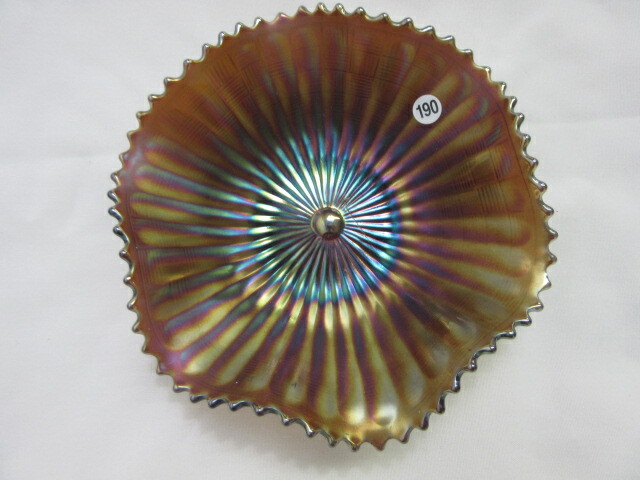 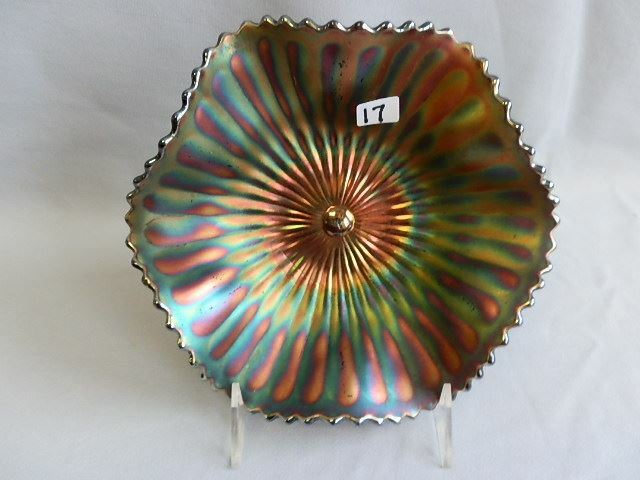 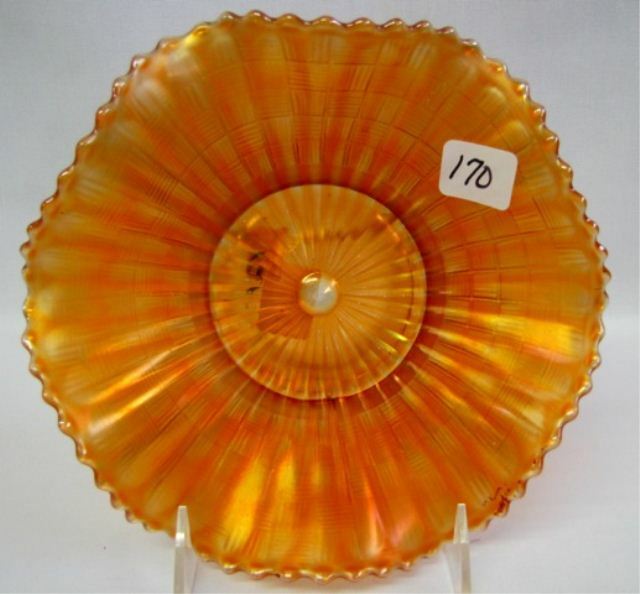 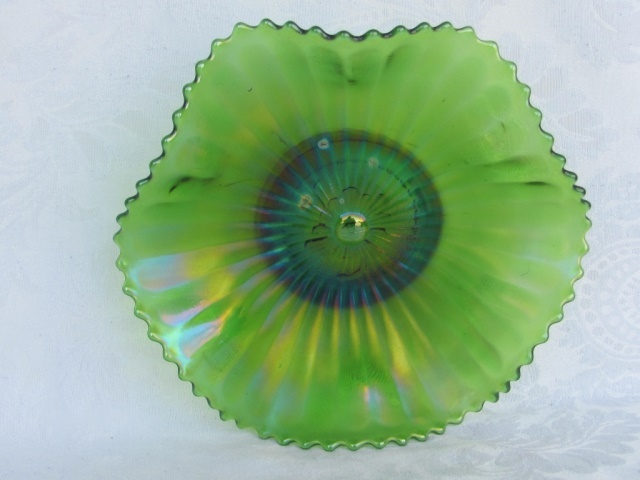 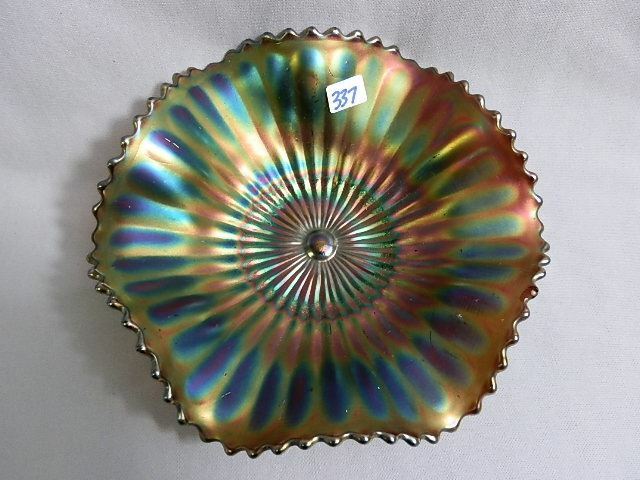 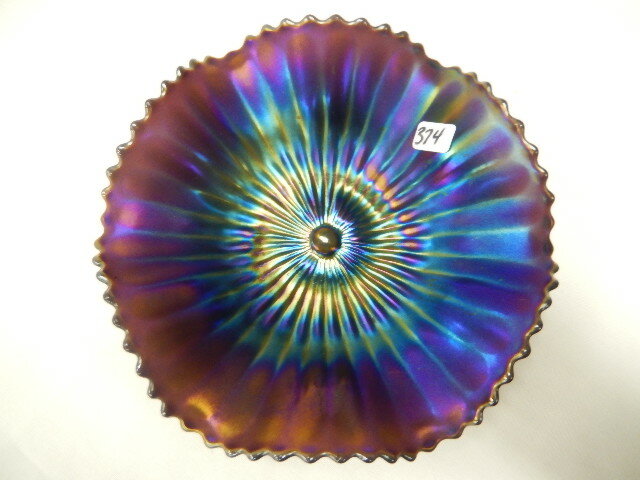 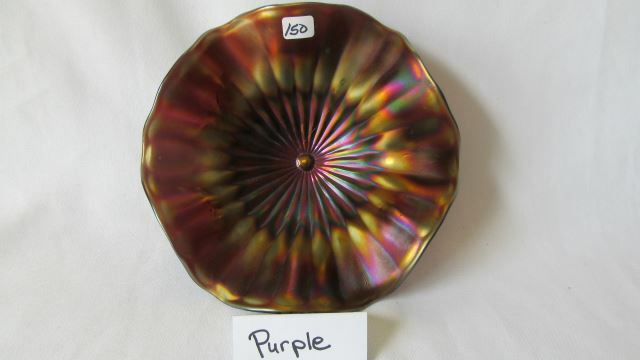 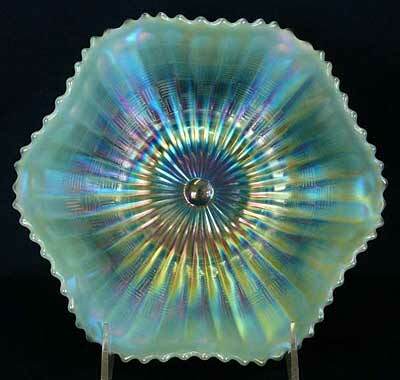 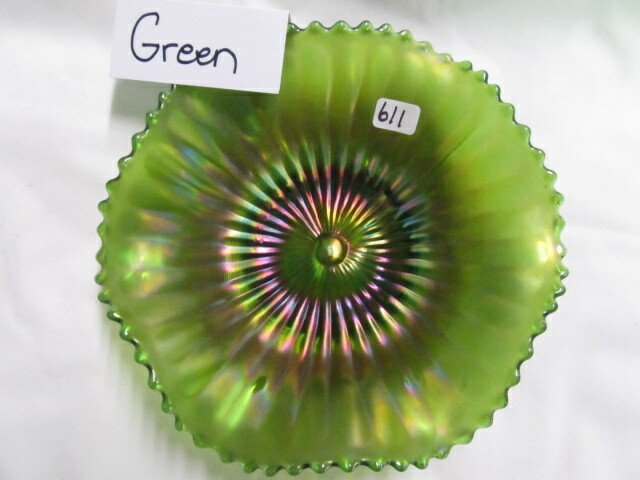 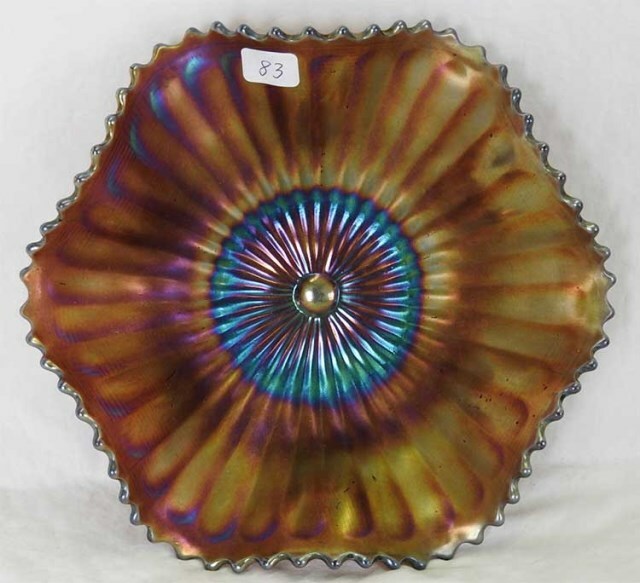 This aqua opal Northwood Smooth Rays bowl sold in 2008 for $4,700. 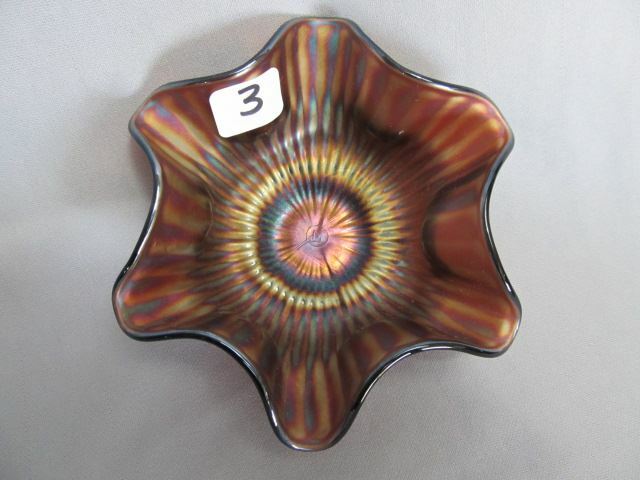 Photo courtesy Jim Seeck Auctions.